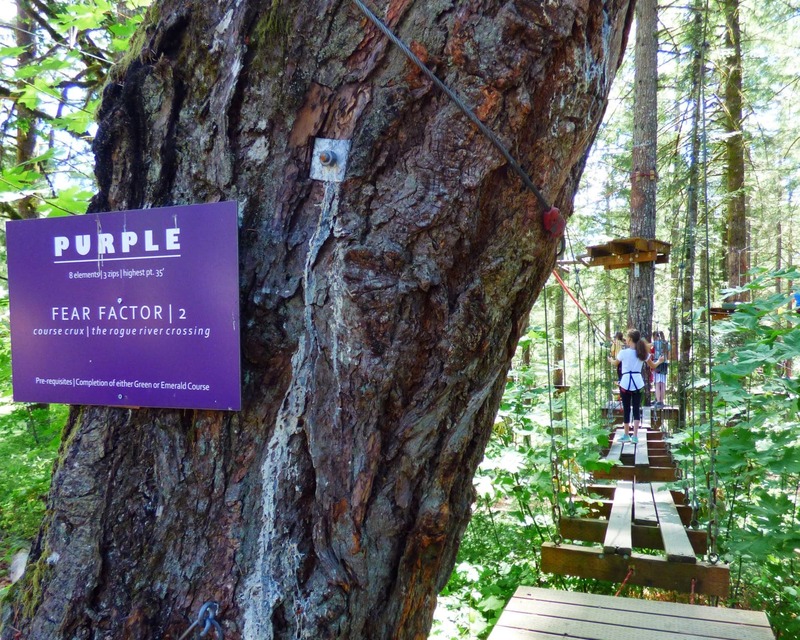 Portland-area thrill seekers love our rope park at Tree to Tree Adventure Park in nearby Gaston, Oregon. Test your balance, endurance, dexterity and skill on one of our aerial obstacle courses, or zip through the trees on a zip line canopy tour. Whatever your level of adventure, we have something for everyone. trees and test endurance, balance and dexterity. Unlike traditional high ropes courses, your adventure at Tree to Tree will be self-guided. Our highly trained guides will be watching from the ground to assist you if you need a tip on how to get through a particular obstacle or element. Our Portland area rope park is fun for the whole family and includes a wide range of aerial obstacles suitable for a variety of age and skill levels. Our six courses offer more than 60 exhilarating obstacles, including ladders, Tarzan-like swings, wobbly bridges, tight ropes and balance beams. There are also 16 interspersed zip lines, so you’ll be soaring through the trees throughout the day. For a total adrenaline rush, take our Tree Top Plunge from 65 feet in the air, and zoom ahead of the pack in a race against your friends on our tandem racing zips. Little ones have big fun at our rope park because your young adventurers aren’t left out on a fun-filled day in our Adventure Village. All activities in our tree fort adventure playground are kid-friendly. Watch their faces light up as they test their balance on wobbly bridges or soar on our small, hand-held zip line. Children at least 35 pounds also have access to the Monkey Grove, which leads to even more antics way up high on our climbing gym in the trees. Record your rope park antics to share with your friends using a helmet-mounted camera that captures every thrilling moment in the trees. If you don’t have one, we offer GoPro rentals in the welcome center on a first-come, first-served basis. Wear your GoPro during Woody’s Ziptastic Voyage and film some of the most breathtaking views as you zip along on a canopy tour with a bird's-eye view of Hagg Lake, the surrounding forests, nearby mountains and a massive 1,280-foot zip line (one of the longest in the Portland area). If you’re ready to soar among the trees, take a quick drive over to Gaston, Oregon, from Portland or one of the many other nearby communities. Barring any unsafe weather, we’re open rain or shine, from March to mid-November. Book online or contact us at (503) 357-0109 to reserve the date and time of your big adventure today.